National Geographic is one of the most esteemed magazines in the world, and it’s safe to say that most photographers make it their life’s ambition to be featured in the magazine. Thankfully, there is a chance of this happening. That’s because every year, National Geographic runs a Travel Photo Contest that sees people across the world submit their photos. This year, some of the most incredible photographs have been shortlisted for the prestigious prize. Each destination around the world has its own traditions, and this is no different in Indonesia. 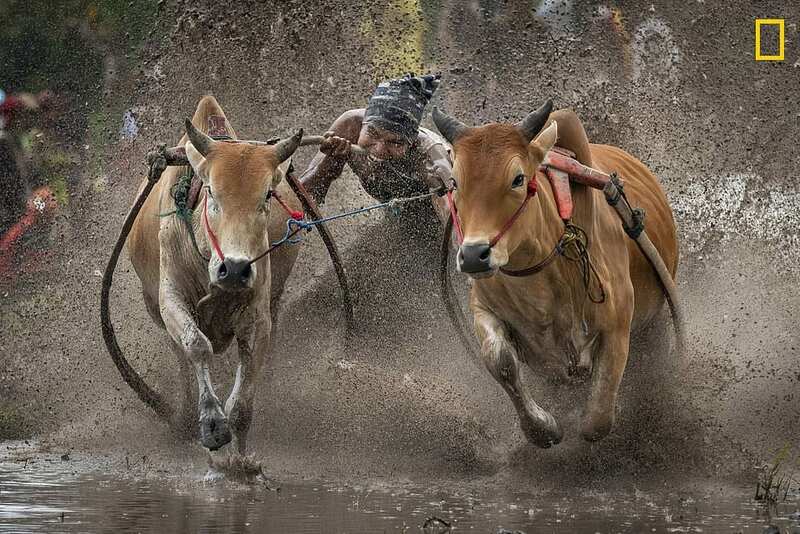 One photographer by the name of Dale Johnson captures this motion snapshot of a traditional cow race, and there’s no doubt about the fact that it looks intense and energetic. With mud flying all over the place and a rider who seems intent on winning the race, this photograph screams action. Penguins are truly majestic creatures, and this photograph by Clive Beavis shows this off perfectly. This incredible photo takes an action shot and almost turns it into a profile of the penguin, and showcases the intense movement that goes into a cat-and-mouse (or penguin-and-seal) race. This shot was taken in Antarctica and is truly one of a kind. 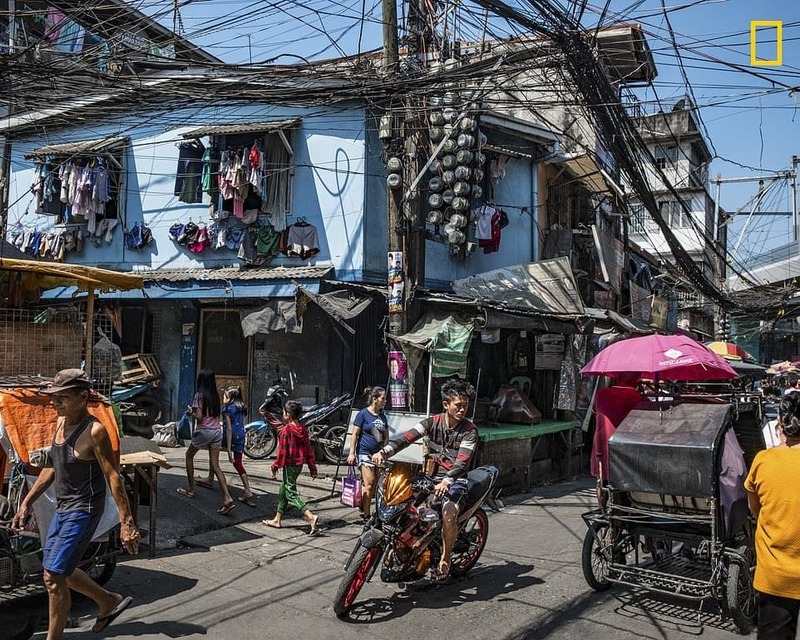 Sometimes the best photograph can be taken when you don’t mean to take it, and Andrew Zapanta feels as though that’s what happened with his Manila Junction shot. He found himself in the midst of city life in Manila when he was overcome with emotion, and knew that he had to capture the hustle and the bustle of the people around him. He did just that, and there’s no doubt about the fact that this photo is the epitome of everyday existence. This impressive photograph was taken by Sonalini Khetrapal while he was exploring the Masai Mara in Kenya. While he was there, they were lucky enough to spot newborn lions cubs wandering the area with their mothers, and it was an incredible sight. However, when one cub strayed a little too far to the cliff edge, the momma lioness had to catch the cub in between her teeth and take him to safety. The National Geographic Travel Photo Contest will run until May 3, before they decide who will be taking home the crown and the prize money.